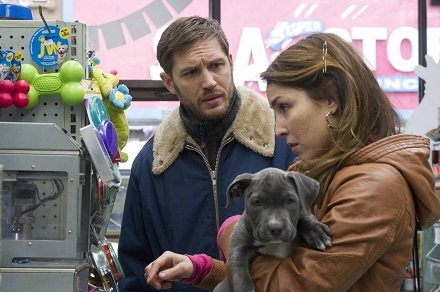 At the heart of the crime drama The Drop—based almost faithfully on Dennis Lehane’s novella—is a story of a man and his dog and how this abandoned, abused pit bull puppy with lots of affection to give rescues the man who rescues him. 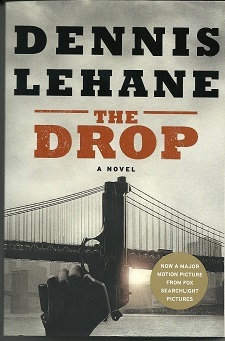 Make no mistake, The Drop is not a touchy-feely sentimental tale—we are talking about Lehane here. The Drop is a gripping, atmospheric crime story full of mobsters, severed limbs, and violence, though not as much as in most films in this genre. But there is this man and there is this dog and they form the crux of what turns into an intense character study of people on the edge, disenfranchised from themselves, people who must learn to care about something before they can care about themselves. And yes, it is a crime drama, and gritty as they come. It also is the last movie that the actor James Gandolfini made before he died in June 2013, and his performance in The Drop makes his loss even more acute. British actor Tom Hardy (Inception, Meadowlands) stars as Bob Saginowski, a lonely guy who tries to mind his own business; he has pretty much withdrawn from life. He works at a Brooklyn tavern called Cousin Marv’s, which happens to be owned by his own cousin, Marv (Gandolfini). There he keeps the regular customers happy, talks with Marv, and goes home alone, never giving much of himself to anyone. He attends Mass daily at the old neighborhood parish church, but never takes Communion. On his way home one night, he hears a puppy whimpering inside a garbage can in front of a house. As he fishes out the bloodied and abused puppy, the woman who lives in the house wants to know what he’s doing. Nadia (Noomi Rapace, The Girl With the Dragon Tattoo), is more than a little leery of this guy who is going through her trash can until she spots the puppy. But before even talking with Bob, she insists on taking a photograph of his driver’s license, which she will email to four friends. In her house, the two clean up the dog, who, despite his ordeal, is a friendly, tag-wagging bundle of energy. Tom thinks it’s a boxer but Nadia knows it’s a pit bull. “That’s a dangerous dog,” says Tom, pulling back. Tom knows all about danger. Years before, he used to run with a “crew” that did some nasty things; he knows that friends and acquaintances from the neighborhood have “disappeared;” and he works for Marv, whose bar is a “drop,” or collection point for unmarked envelopes filled with money that belongs to the Chechen gangsters who rule the streets. And Marv doesn’t really own the bar either—years before, Marv lost it to those same Chechen gangsters. Marv only pretends to own it to make the laundry scheme seem more plausible. Dozens of envelopes filled with cash are hard to resist. One night after closing, two brothers rob the place. The drops have all been collected by the gangsters but Marv’s profits don’t belong to him. And the gangsters want back the $5,000 that was stolen, from either Marv or those amateur robbers. It doesn’t take long for it to be revealed that Marv set up the robbery, hoping to recoup some of the money that goes to his “partners” and also regain a bit of pride from the days when he and his crew ran the neighborhood. And Bob’s life suddenly becomes quite complicated, and it may be just what he needs to shock him back to the living. He takes the dog—was there ever any doubt?—and names him Rocco, after St. Rocco, a patron saint of dogs and falsely accused people. He and Nadia are attracted to each other, bound by their mutual concern for the dog, yet keep at arm’s length because of past hurts. The hunt for the robbers intensifies and turns violent. And Eric Deeds (Matthias Schoenaerts), the dog’s original owner and Nadia’s abusive ex-boyfriend, re-enters the picture. He wants both Rocco and her back. Deeds is known in the neighborhood for his violence and is believed to be responsible for the death of one of Bob’s friends. As the viewer learns, everyone in The Drop is haunted by his or her secrets and a past that rears its head almost daily. Only little Rocco is the most innocent of all. The acting is first-rate. Hardy’s expressions move almost imperceptibly as he clearly shows a range of emotion and even rage. Hardy’s Bob is a character who should not be underestimated, and the actor illustrates this time and again. Hardy will play the role of Leo Demidov in the upcoming Child 44, which also will reunite him with Rapace. The two have a believable chemistry in The Drop and that should serve them well in Child 44, based on Tom Rob Smith’s novel. 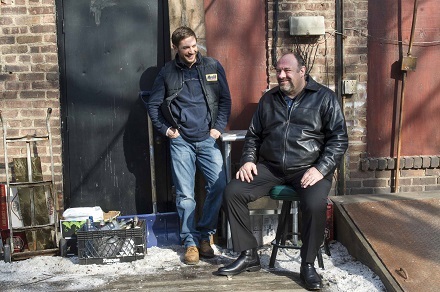 Gandolfini is so perfect in The Drop that he immediately makes us forget about the proud, powerful Tony Soprano that he inhabited all those years. Marv is light years away from Tony. Marv is a sad sack of a man, trying to grab back that one piece of glory he had back in the day, yet knowing his own flaws caused him to lose everything he once had. Marv’s father is on life support, yet he refuses to consider that it may be time to make a decision on this. He lives with his sister, Dottie, who wants a better life, even a trip to Europe, anything to get out of the neighborhood. “That’s what I’ve become, kinda guy goes to Europe with his sister,” laments Marv. Hollywood has been good to Lehane—Gone Baby Gone, Mystic River, Shutter Island—and The Drop continues those high standards. The Drop is the first English-language film by Belgian director Michaël Roskam, an Academy Award-nominee for Bullhead. Roskam understands the deliberate pacing that is necessary to make a good crime drama that depends on characters driving the plot. The Drop doesn’t have car chases or gun battles, but it does have great pacing, a solid plot, and believable characters who come alive through the superior acting. The violence is measured out so that when it occurs it is shocking. The cinematography perfectly captures a down-at-its-heels neighborhood, a corner bar, streets with broken sidewalks and trash carelessly thrown. It also benefits from having Lehane write the screenplay. 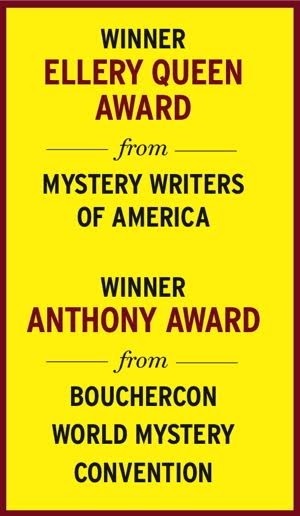 The Drop started as the short story “Animal Rescue,” which was published in the anthology Boston Noir, which Lehane also edited. Lehane had been working on an adaptation of “Animal Rescue” when the screen rights were bought by Chernin Entertainment, the production company founded by former president and chief operating officer of News Corporation Peter Chernin. Lehane also moved the setting from Boston to a blue-collar neighborhood of Brooklyn. Then Lehane’s publisher wanted him to turn his story into a novel to expand on the characters. The trade paperback version of The Drop also is now available. Captions: top, Tom Hardy and James Gandolfini; second photo: Tom Hardy, Noomi Rapace, and Rocco; third photo: James Gandolfini and Tom Hardy. Rated R. Running time: 107 minutes.